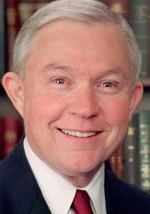 President-elect Donald Trump’s nomination for United States attorney general, Sen. Jeff Sessions, R-Ala., could have an impact on government surveillance power because of his full-fledged support of the National Security Agency’s spying authorities. During his years as a senator, Sessions has voted to extend the Patriot Act’s roving wiretaps and to remove the need to obtain a court warrant for wiretapping abroad. Sessions has voted against needing a warrant to monitor calls from the United States to a foreign country. Sessions said that the president has the authority to allow the NSA to wiretap conversations involving foreign countries in order to protect national security and that there should be no restrictions on that power. Seven years later, in 2013, Edward Snowden released documents about PRISM, an NSA surveillance program that gathered information about U.S. citizens from at least nine major Internet companies. PRISM began in 2007, one year after Sessions’ floor speech. In 2009, Sessions advocated for reauthorization of the Patriot Act, which includes roving wiretaps, searches of business records, and conducting surveillance of individuals suspected of terrorist activities not related to terrorist groups. The Senate considered getting rid of the provision for roving wiretaps–continuous bugging of a suspect–but Sessions advocated and voted to keep that aspect of the law. “I agree with officials at the Department of Justice, who have urged a reauthorization free from amendments that would either stall the bill or weaken existing national security tools,” said Sessions on Sept. 22, 2009. Sessions fought the reform of the Foreign Intelligence Surveillance Act in 2012 and the USA Freedom Act of 2015 that placed regulations on the NSA after Snowden released the information about domestic surveillance. The law passed the House and the Senate and was supported by Adm. Michael Rogers, director of the NSA. Sessions also tried to add an amendment to the Email Privacy Act that would have allowed a loophole for law enforcement to obtain data from companies like Google and Microsoft without a warrant in the case of an emergency. Sessions joins the Trump team along with Jeffrey Eisenach, one of the leads of Trump’s technology transition team, who also believes that the Federal government should have increased surveillance powers. Eisenach said in an Oct. 24 blog post that the government should create a Federal Cybersecurity Service, a civilian agency with the NSA’s cyber defense assets and the powers of the military and law enforcement to react to cybersecurity problems without having to go through the obstacles of gaining permission from other levels of government. “One of our main findings was that the U.S. needs to untie the hands of our most capable cyber defenders,” said Eisenach about the NSA.